Tourism Northern Tasmania (TNT) is the regional tourism organisation for Northern Tasmania. 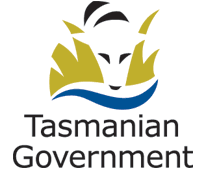 We are an Incorporated Association governed by a voluntary skills-based board of Directors, and funded by participating councils and Tourism Tasmania. We are responsible for driving the development of tourism in Northern Tasmania by leading a contemporary strategic approach to destination management. Although funded by councils and Tourism Tasmania, we are an industry-led organisation working in partnership with Local Tourism Associations within the region. We provide excellent opportunities for greater collaboration in the areas of; destination marketing, visitor information provision, investment attraction and product development, industry skills development, and advocacy on behalf of our industry. To recognise the importance of tourism as a key economic generator for the North. To ensure that the destination becomes more competitive and attains deserved market share. To provide a united approach in destination management and planning.